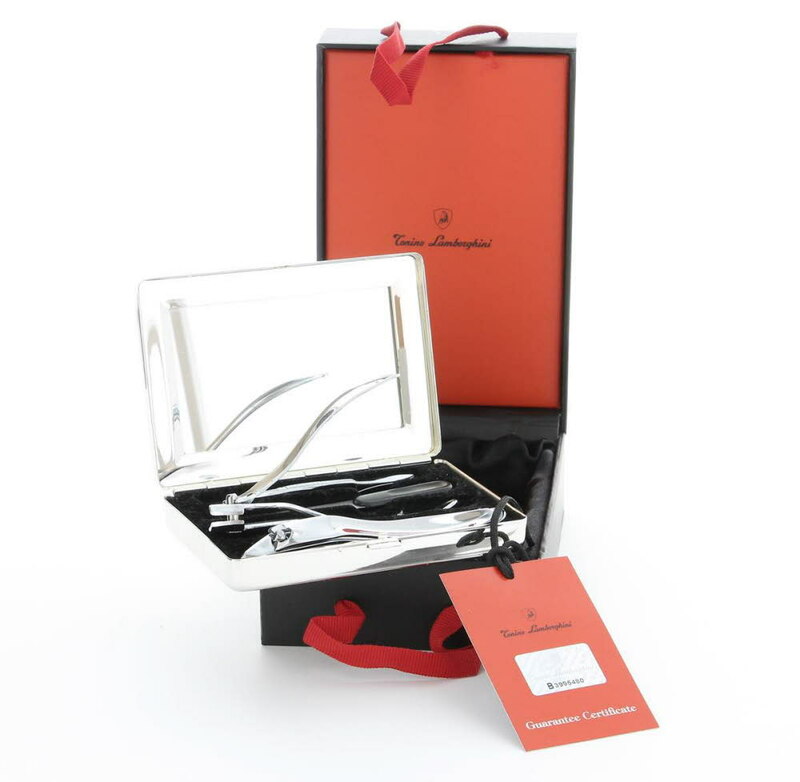 Personalised Engraved Tonino Lamborghini Manicure Beauty Set. 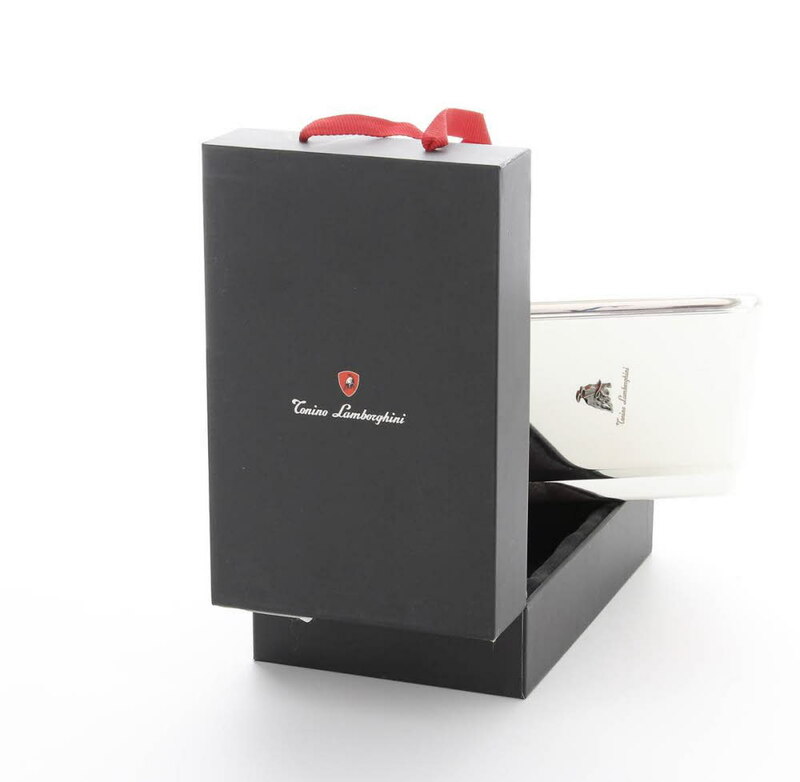 The beautiful item measures 110 x 75 x 30 mm and comes in a black and red luxury lined gift box with handles. 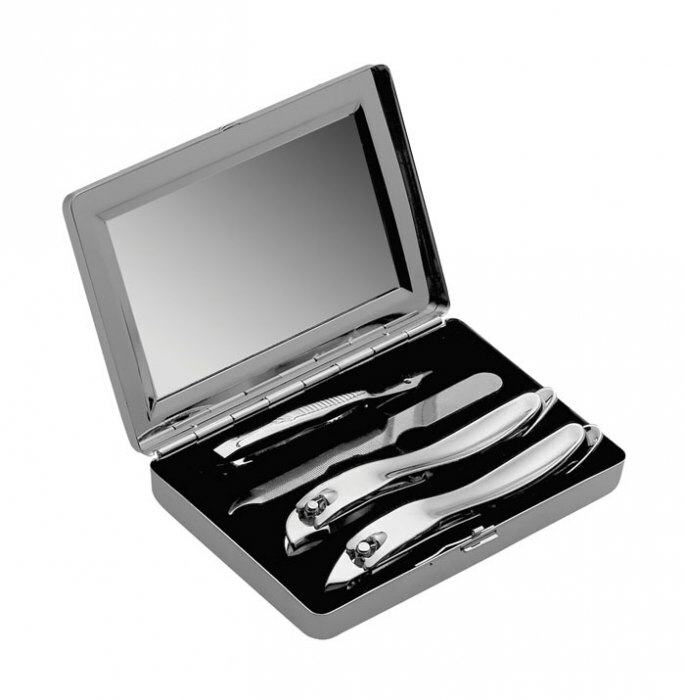 This amazing set consists of tweezers, nail file and two nail clippers. This is a superb luxury set. 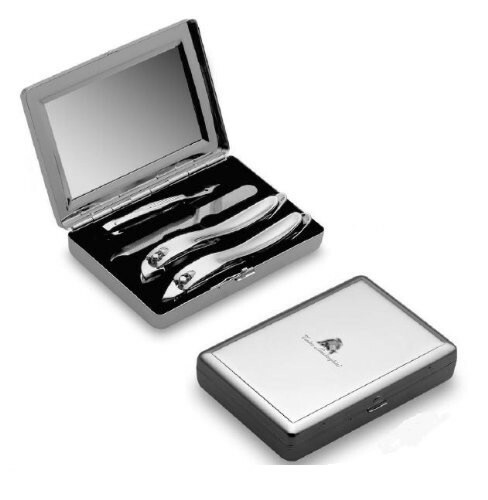 Your engraving can either be done on the front of the box above or below the Lamborghini emblem or you can engrave the reverse of the manicure set.